Sri Lankan police on Friday filed an injunction in an attempt to prevent an event commemorating Lt Col Thileepan's fast unto death. The event is currently being planned for September 26 to take place in Nallur, Jaffna. The police allege the event is for a member of a 'terrorist organisation banned in Sri Lanka and many countries' and have also sought a court order to remove red and yellow banners and a photograph of Thileepan placed at his memorial site in Nallur. The court hearing is due to take place on September 25. 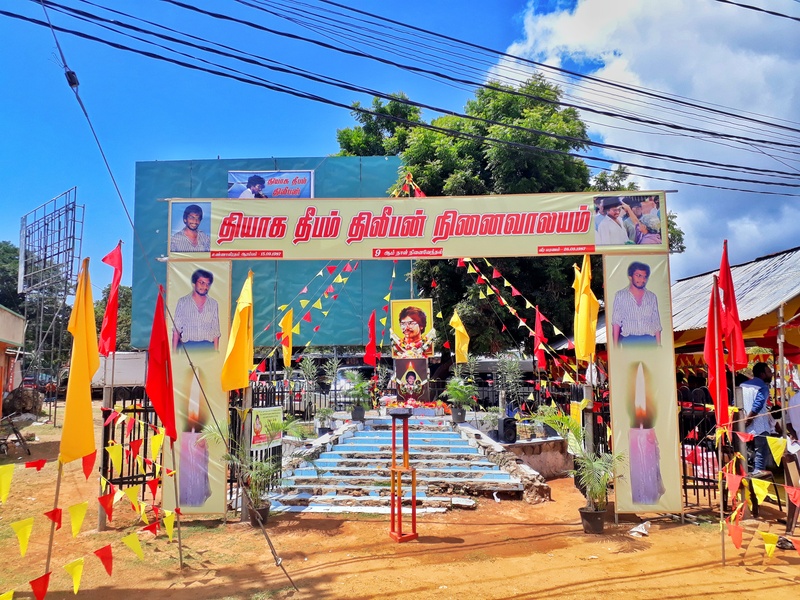 Tamils across the North-East held events this month, marking the 31 years since Thileepan commenced his fast unto death, demanding that the Indian government upheld its promises to the Tamil people. Over 100,000 people gathered at the Nallur temple in Jaffna on September 15, 1987 to hear his words as he began the hunger strike.